Your iPhone is one of the best tools for becoming more productive. But there are thousands of productivity apps out there—how do you know which ones to use? This guide is available to download as a free PDF. Download 25 Useful iPhone Productivity Apps That’ll Help You Get Things Done now. Feel free to copy and share this with your friends and family. We’ve ranked the 25 best iPhone productivity apps for you here. Which app will take the #1 spot? Keep reading to find out. Staying focused is hard. Forest makes it easier by showing you how long you’ve been able to resist getting distracted by your phone. The longer you leave the app open (blocking other apps), the more your forest grows. And now you can grow a forest with your friends—but only as long as everyone stays focused. It adds peer pressure to the previous gentle reminder. 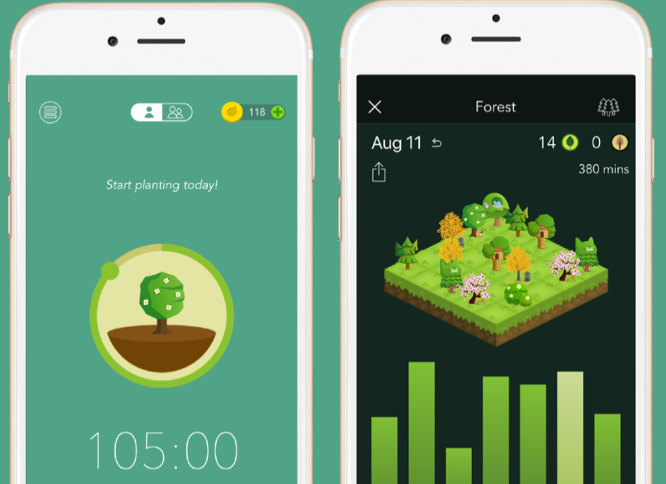 And the makers of the app will even plant real trees for the ones you grow in the app. The average person spends 13 hours a week reading and responding to email according to SaneBox. What could you do if you got a few of those hours back? Astro will help you find out. Gmail and Office 365 integration, email snooze, priority inbox and notifications, and an in-app calendar make it a stellar iPhone email app. Astro also gives you the power of an AI assistant. It responds to hundreds of text and voice commands and will help you get work done quickly. The “zap” command is especially useful—it starts up an inbox-cleaning protocol. 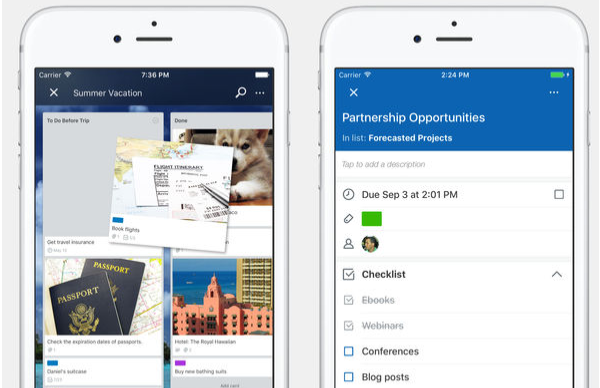 If you need to manage projects on the go, Wrike is a great choice. It gives you the project management features you’d expect, like Gantt charts, assignments, approval workflows, and time and budget tracking. For small teams, Wrike can serve as a free shared task list. Larger teams willing to pay get a full project-management app that keeps team members coordinated and productive. The Pomodoro system is great… but what if you don’t like the traditional 25/5 split? Be Focused Pro is a Pomodoro timer and to-do list app that lets you customize your work intervals. Set the short and long intervals, decide on your break times, enter your tasks, and get moving. Be Focused Pro also offers notifications, alarms, and other settings that will keep you on pace. There’s even an Apple Watch app so you can take your intervals on the go. Gamification is here to stay. And Habitica is by far the most fun gamified iPhone productivity app. Enter your tasks and the daily/weekly/monthly habits you want to put in place, and start working. When you complete a task, you earn experience. You can use that experience to level up, get new gear, and battle monsters. 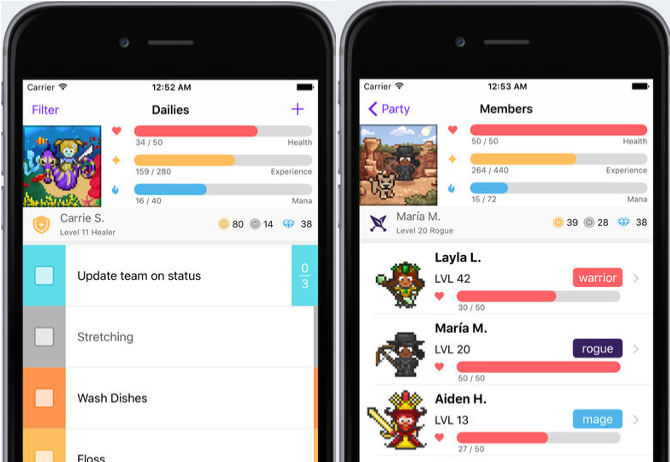 Beyond the fun fantasy interface, Habitica is a great way to cement new habits. The theme won’t appeal to everyone, but it’s a welcome break from dry productivity apps. While it’s pitched as a tool for businesses that need to track employee time, Harvest shows anyone where they’re spending time. Add tasks, assign time to them, and get reports later to see which tasks you’re spending time on. If you’re a freelancer, you can also use expense logging and invoicing right from the app to simplify your billing process. While Evernote is still the king of note-taking apps, Bear is making strong inroads. Instead of being bloated with features, it aims for a minimal interface with pleasing typefaces and advanced markup features. The disadvantage of Bear is that it’s iOS and Mac-only. But if you’re invested in the Apple ecosystem, that won’t be a problem. 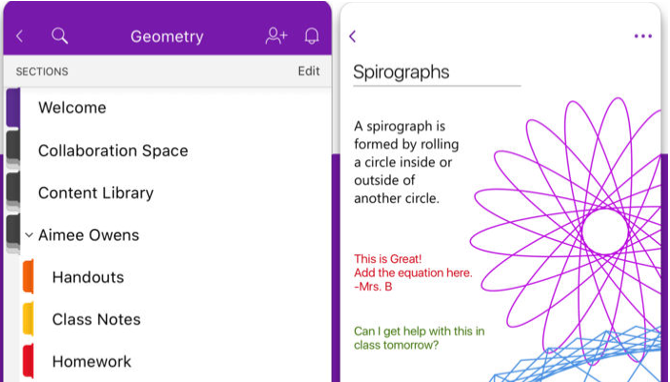 You can enjoy a great note-taking app designed specifically for iOS. Think of it as a level between Apple Notes and Evernote—and with great design built right in. There are a lot of great iPhone email apps, but few have security in mind. Edison Mail prevents email snooping with Touch ID or Face ID authentication. 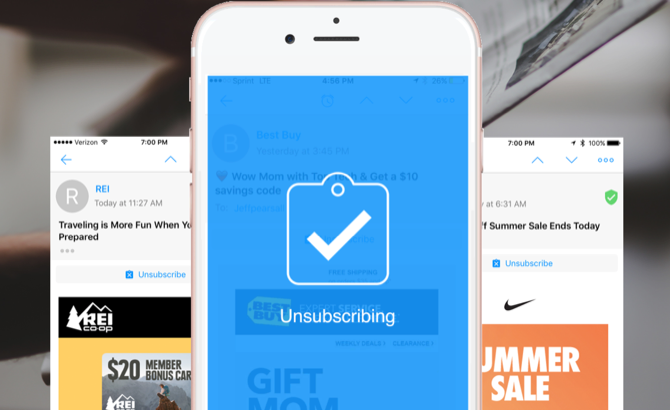 Beyond that, you get integration with many mail services, custom swipes, intelligent mail categorization, and smart notifications. It’s a great way to unify your myriad inboxes from around the web. The Getting Things Done (GTD) productivity system requires a highly organized app to support it. And Nirvana was built specifically around that purpose. At its core, it’s a task manager, but it also lets you capture information, sort by location, and focus on your next task. Nirvana Pro adds even more functionality, with unlimited projects, areas, and reference lists. You’ll also need the pro level if you want to create recurring tasks. Even without these features, there’s a ton of organizational power here for GTD enthusiasts. 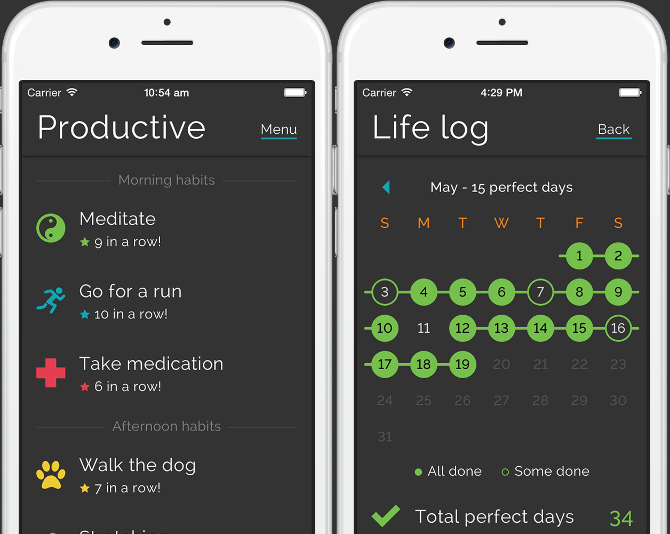 This app is all about developing and maintaining habits. First, create items for your habits. Then set their recurrence intervals, and choose morning, afternoon, or evening. Finally, track your successes! You’ll use the don’t-break-the-chain method to build up streaks of habits. Productive gives you detailed reports of how well you’re doing so you can make tweaks, too. Evernote has been the go-to app for the Getting Things Done system nearly forever. But Zendone doesn’t try to replicate Evernote’s functions. 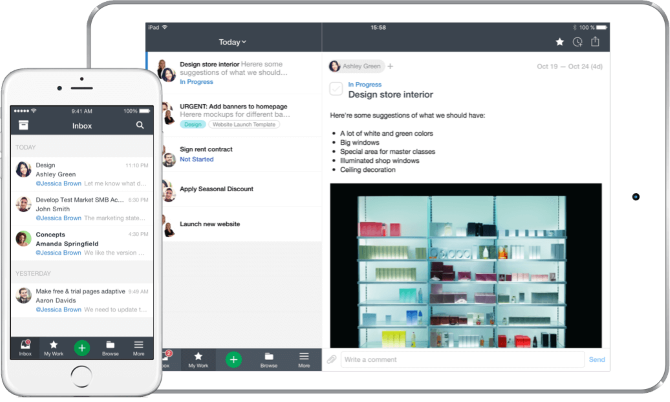 Instead, it serves as a task list and project management app that integrates with Evernote to pull in your notes when you need them. 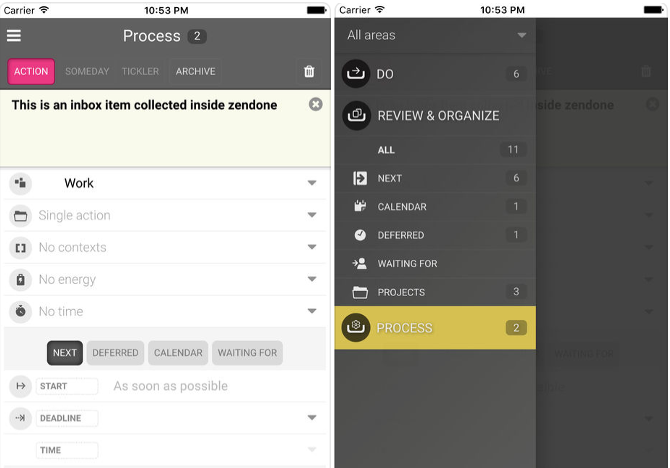 In this way, Zendone lets you go through the entire GTD process—from collection to archiving to delegation to action—from a single app. The Google Calendar integration makes it easy to schedule future tasks, too. The only downside is that there’s no free option; you can get a trial, but after that you’ll pay at least $ 5 per month. Microsoft’s note-taking app used to feel like a tacked-on addition to Microsoft Office. But updates to the app added many useful features, and it now rivals Evernote for the crown of best note-taking app. The biggest advantage is that it’s completely free; there are no upgrade options. But there’s also built-in sketching support for the iPad, powerful organization tools, and cloud sync with OneDrive. This calendar app is all about flexibility. With numerous views and themes, you can look at your schedule in the way you prefer. And it works with iCloud, Google Calendar, Exchange, and others, so you can see all your calendars in one place. The widget and interactive notifications also make sure you don’t forget any of your events. And if you have a newer iPhone, you can use 3D Touch to interact with your events and notifications. 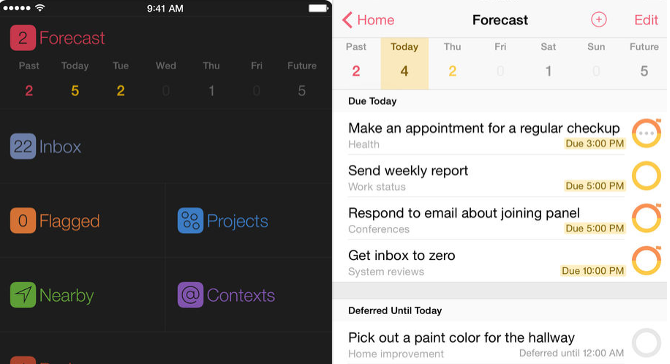 If you’ve looked for the best iPhone GTD apps, you’ve almost certainly come across Omnifocus. It’s built from the ground up for Getting Things Done. It will help you keep the various parts of your life separate—it’s the best organization app for GTDers. Perspectives let you see only work, personal, or any other category of task. Tons of view options narrow in on specifics. There’s a phenomenal amount of customizability here, and with it a huge amount of power. It’s going to take a while to get the hang of it, but there might be no better app for managing your entire life with GTD. Trello’s iPhone app will help you coordinate an entire project team or just get yourself organized. The Kanban-style organization makes for great visual workflows. Just drag and drop cards into new categories as they progress. You can also create checklists in each card, assign cards to other users, add due dates, upload files, and color-code tasks. Each card serves as its own to-do list, making Trello a great app for managing several areas of your life. 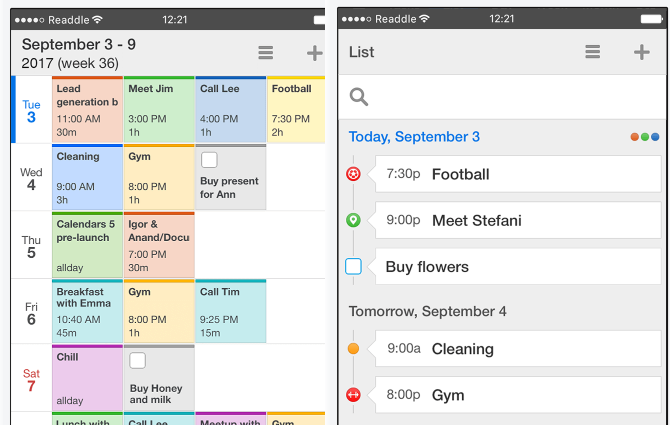 To-Do is the successor to one of our favorite productivity apps: Wunderlist. Microsoft bought the company and has rebranded the app. You’ll get all the same features you came to expect with Wunderlist: a simple interface, easy operation, intelligent suggestions, lists, and cloud sync. 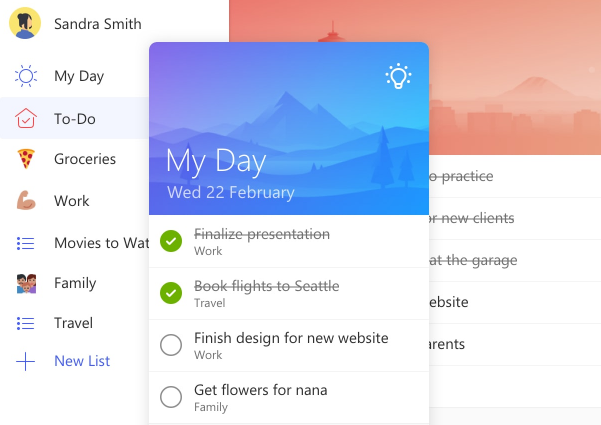 It doesn’t offer more features than the best to-do list apps listed below, but the familiar interface and easy syncing across platforms is still appealing. You may take it for granted, but Google Calendar is still one of the best productivity apps. And the iPhone version is arguably better than the browser-based one. It all starts with the view. The clean interface makes it easy to see what you’re doing and when. You can quickly flip through the coming days to get an idea of what’s ahead, and automatically generated images highlight important events. 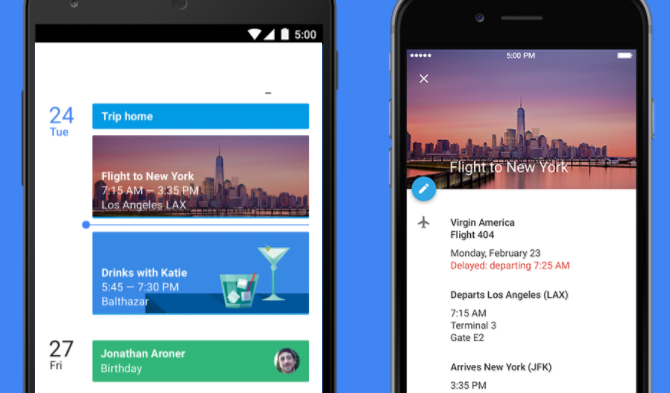 Smart text interpretation makes it easy to get events on your schedule in just a few taps. And it automatically imports information from Gmail, so your calendar invites, flights, and hotel reservations are already linked in. There’s no productivity app more popular than Evernote. If you can think of a feature that would be useful for taking notes on your iPhone, Evernote has it. In addition to all the organizational power of the desktop version, the iPhone app adds features for easy note-taking on the go. One-button note creation, the ability to add photos, a purpose-built business card scanner, and support for handwriting are just the tip of the iceberg. You can also use 3D Touch to pull up quick actions on your notes to save even more time. Pressure-sensitive sketching takes advantage of new iPhone technology, too. If you want more power than Apple Notes, and you’re alright with a slightly more cluttered interface, Evernote is tough to beat. Natural language support makes it easy to add events quickly; you can even create events with Siri. And although the task manager is relatively simple compared to some of the other productivity apps on this list, the fact that it’s in the same app as your calendar is really useful. Calendars 5 isn’t cheap, but if you spend a lot of time in your calendar, it’s worth it. 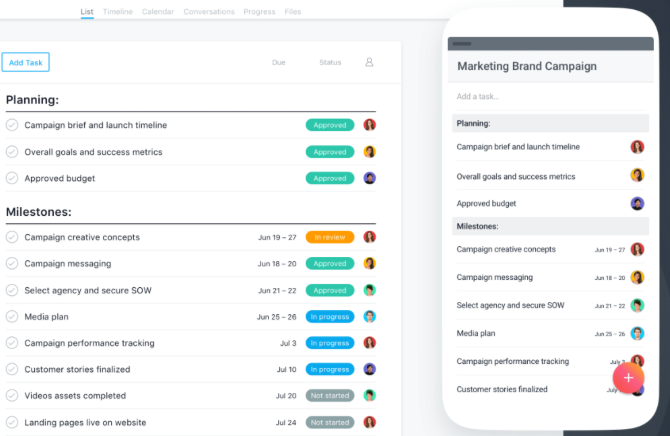 While it’s generally meant for team-based project management, Asana works equally well for categorizing your own tasks and projects. No matter how many people and projects you’re trying to organize, Asana’s mobile app will keep you on track. Having the ability to check your tasks in both Kanban and standard views makes this a great alternative to Trello for people who want added flexibility. 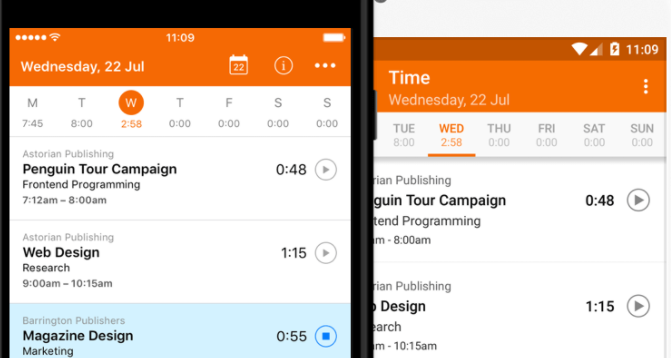 The calendar and to-do views also make this a versatile project management app. That versatility is what makes it one of the best organization apps around. It offers tons of ways to store your data and just as many to access and manage it. While you could use Evernote to store all the articles you’ve been meaning to go back and read, the reading experience from Pocket sets it apart. Whether you’re collecting and reading productivity tips or just grabbing the latest posts on your favorite blogs, Pocket will help you do it. 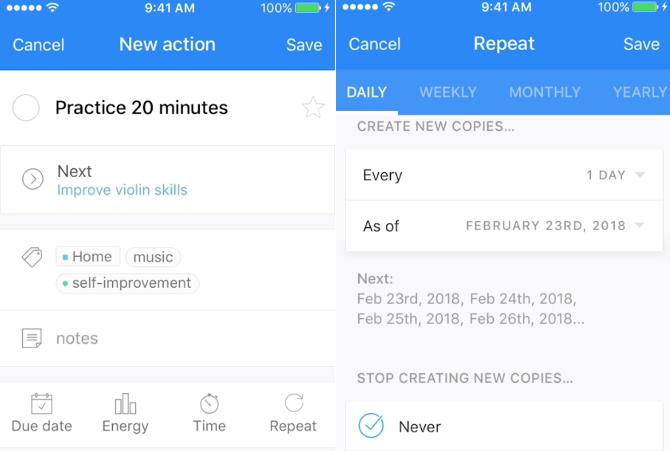 One of the best ways you can use Pocket to improve productivity on your iPhone is to throw articles into it—either via the app or on your computer—and get in the habit of reading when you have a few minutes to spare. All you need to do is open the app and tap the first article. Then start reading. You’ll learn more, be more inspired, and have more fuel for productivity from just a few seconds here and there. Gmail continually reinvents how we deal with email. And as it come up with new ideas to test in the Inbox app, those ideas get moved to the Gmail app. With the latest Gmail redesign, you have access to lots of new features that will help you manage your email more efficiently. You can now snooze emails in Gmail so they come back later—freeing up space in your inbox and your brain. Priority and categorized inboxes automatically sort your important emails to where you can see them. Reminders let you know that it’s been a while since you received an email and should probably follow up. 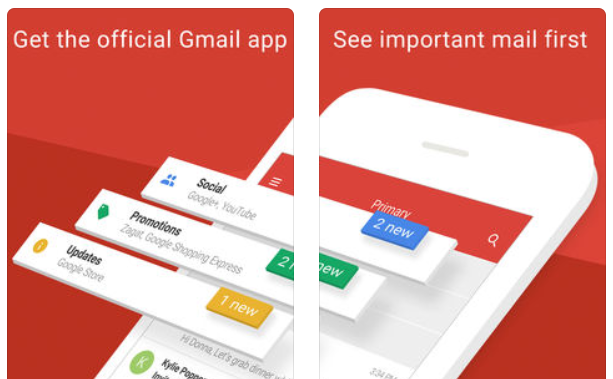 New features roll out all the time, and when they’re perfected, they arrive on the Gmail app. No longer content as just a communication tool, Google has turned Gmail into a full-blown productivity powerhouse. Flexible scheduling, custom repeat schedules, subtasks, and multiple reminders all help you manage your workload with TickTick. But it’s more than just a to-do app. The premium version of TickTick offers calendar integration, custom smart lists, and even integration with Siri. It also offers a task timer, which is great when you want to time block your tasks or you need to file reports for hourly billing. As the most expensive to-do list app on this list, Things 3’s price tag might turn many people off. But ten bucks gets you a huge amount of power. There’s no free plan here to tease you with a few features; you get the whole package right away. Everything in the app is focused on helping you organize your tasks in the way that works for you. 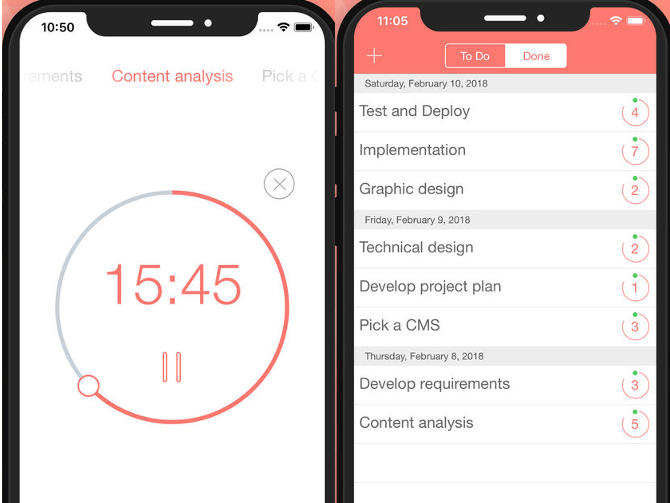 Headings for subtasks, completion pie charts, projects, drag-and-drop scheduling and organization, and dozens of other features make this a tough app to compete with. It very well may be the best iPhone to-do list app. (The desktop version is one of the best Mac productivity apps, too.) But the price tag keeps it at #2. There are a ton of to-do apps available, and more are released all the time. But Any.do is always near the top of the list. Its simple interface belies a great deal of power, from integration with Google Calendar and iCloud to a built-in AI assistant. That assistant is still in early access, but it’s very promising; a combination of chatbots and humans should help you get work done faster than ever. 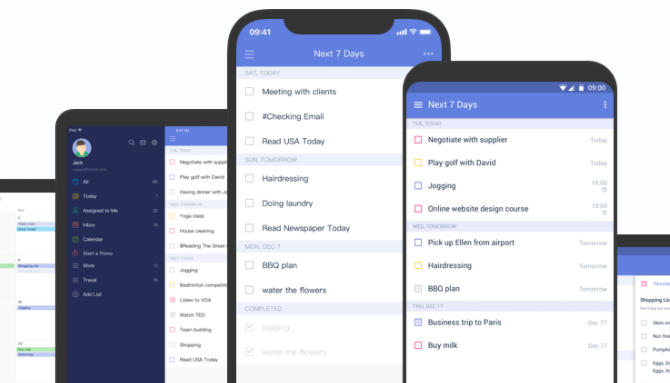 Even without the assistant, Any.do is one of the best to-do list apps on the iPhone, without question. The calendar integration is especially useful. If Apple were to design a task management app (other than Reminders, of course), it would likely look a lot like Any.do. It’s easy to fall down the black hole of iOS productivity apps. Trying to find the best to-do list app can take weeks or months of trying out different options. But in the end, it’s not about finding the perfect app—it’s about finding one that works for you. Try a few of the apps above, pick a couple that work well for you, and start using them. You’ll develop habits and workflows that help you boost your productivity no matter which apps you choose!